I like to refer to Just Sleep 捷絲旅 as our headquarters for our Taiwan trip. 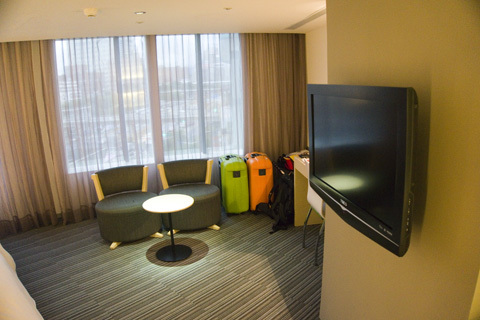 The main reasons why we chose the hotel is because of the close proximity to Ximending, and also because they allow guests to deposit their luggage for collection at a later time. This is perfect for people like us because we tend to torture ourselves by checking in and out of hotel/motels almost everyday! 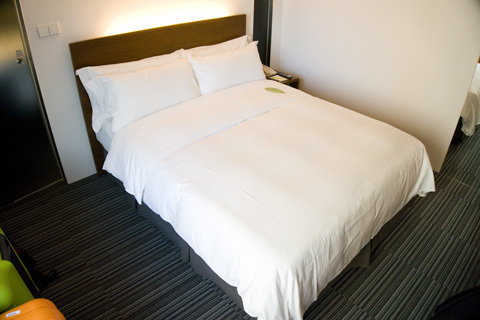 Just Sleep (Ximending) is directly accessible from Taipei Metro Ximending Station. The nice thing is that it provides a direct, sheltered link (about 2 minutes walk) all the way to the entrance of Just Sleep. I grabbed the screenshot off Google Map to illustrate how convenient it is. 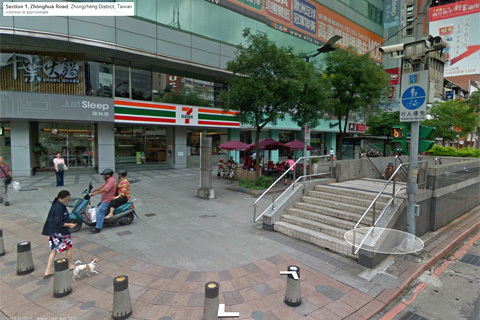 The stairs lead to the Taipei Metro Station. Yes, there is an 7-11 too! Our midnight flight arrived in Taiwan at 6am in the morning. 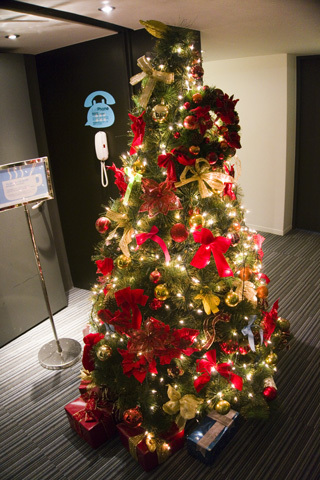 When we reached the hotel, it was only 8am in the morning – too early to be able to check-in. 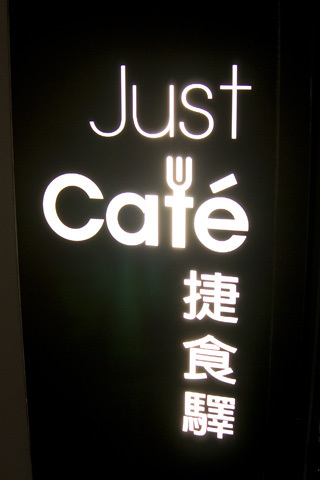 Luckily, we were able to wash up at the restrooms at Just Cafe located on the 5th floor. They were just beginning to serve breakfast to the guests of the hotel it seems. 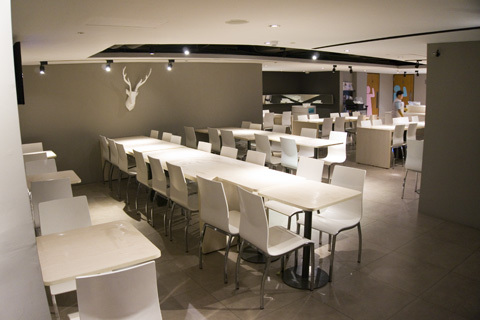 The cafe was empty when we got there. 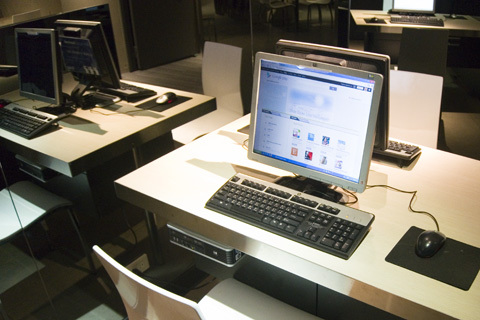 Free internet machines for use. After washing up, we headed down to the reception counter to deposit our luggage with the hotel. 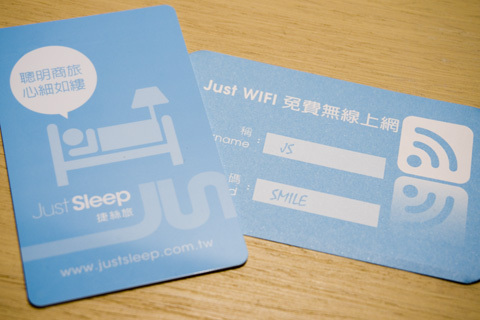 Just Sleep would give you a little tag indicating the number of pieces of luggage deposited with them, and the collection date/time. With 7 hours to spare before it was check-in time, we headed to VIESHOW to catch a movie. Catching a movie at Taiwan is almost the same price compared to Singapore, with a single ticket going for NT$260, which is about SGD$11. After we were done with the movie, we headed to Taiwan Mobile to get our pre-paid SIM cards and activate our unlimited data plans, and had lunch at Hello Kitty Sweets. Back at the hotel at 3pm to check-in! 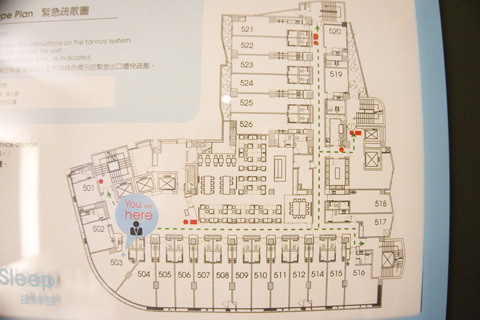 The hotel layout is shown below in the fire escape plan. 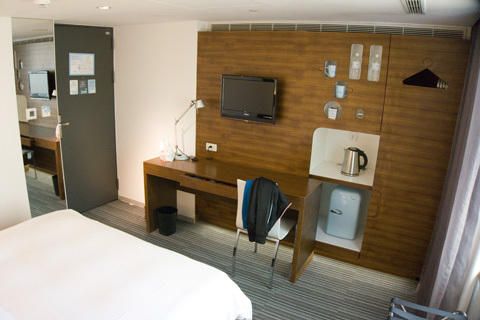 There are plenty of long-ish rooms, which can actually house two single beds. The room that we got has a double bed. 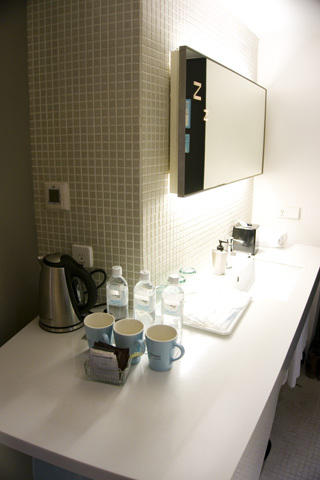 We actually stayed for 4 nights in three different rooms – x01, x02 and x03. 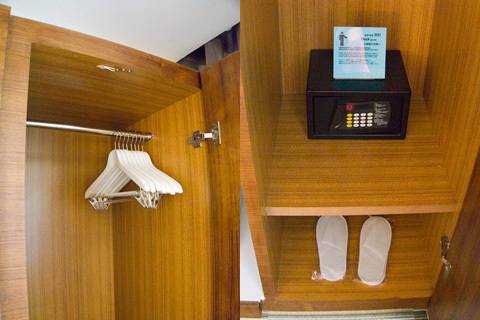 Opening the door to our room, plug the key card into the slot to activate the power. The doors are unlocked via tap sensors. 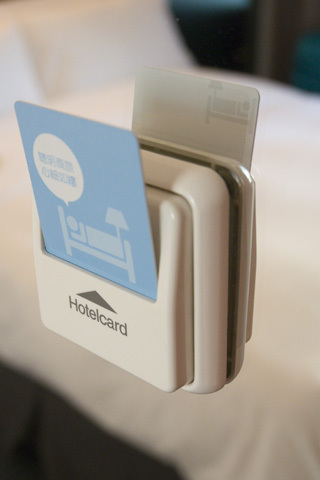 More hotels nowadays are using these magnets for guests to indicate if they want their rooms to be cleaned. 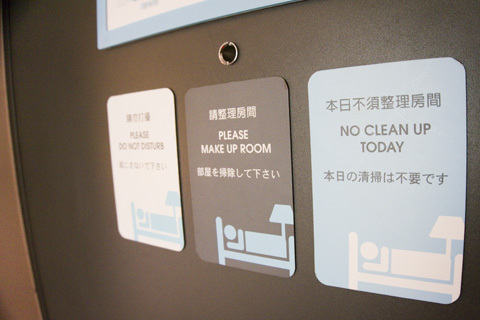 Hotel Sunroute Plaza Shinjuku had the same system as well. 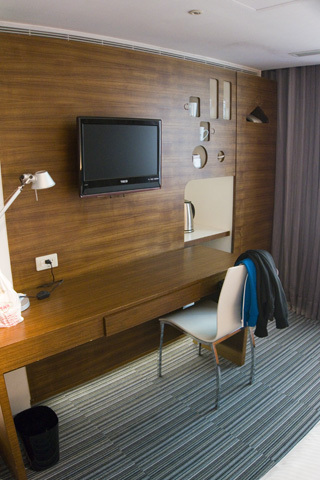 The room is clean, modern and pretty new. Space is adequate, but definitely not what I’d call overly spacious. Another shot of the same room we had in the first two nights. 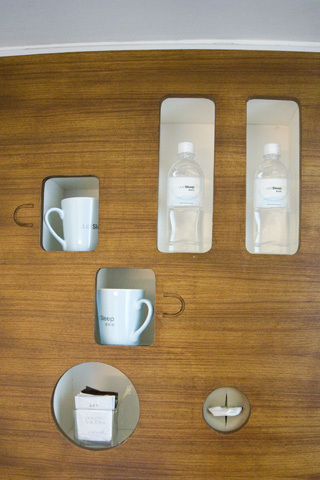 Little slots were made into the custom-made wall to put cups, bottled water, instant drinks and tissue paper. Super comfortable bed for the both of us, with a cute little side table. The restroom was suprisingly spacious – check out the huge mirror. 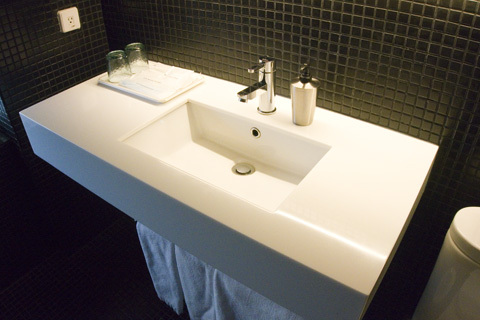 The sink area was well designed and practical. The sunken-style basin was deep enough so water wouldn’t splash around. Plenty of room on either side to put our toiletries. 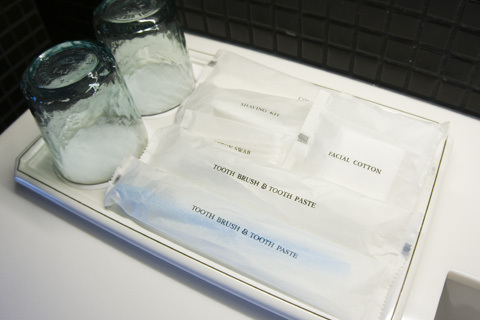 Standard toiletries provided by the hotel. There is a enormous drugstore (something like Watsons or Guardian Pharmacy in Singapore) across the street that sells all kinds of toiletries and cleansers etc. If you want to travel light, don’t bother bringing any of your own stuff – consider purchasing an entire kit when you arrive in Taiwan. 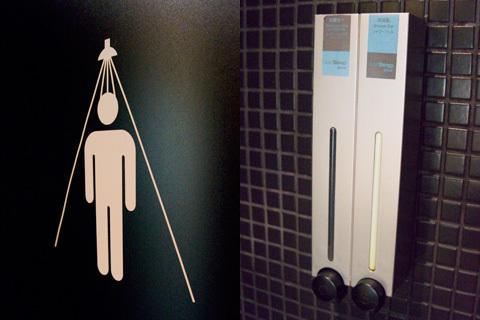 Shampoo/conditioner and bath gel are provided by Just Sleep in dispenser-style pumps mounted onto the walls. 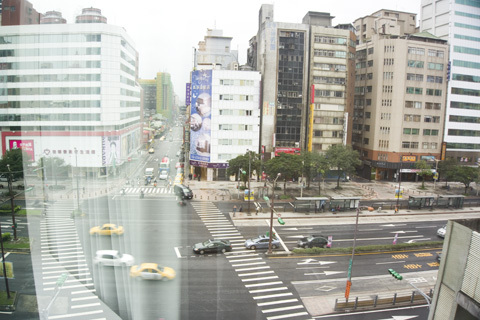 The view from our room is pretty nice as we get to see the intersection of the junction, but it wasn’t noisy at all. The corner of the building (first floor) on the left is the drugstore I was talking about. 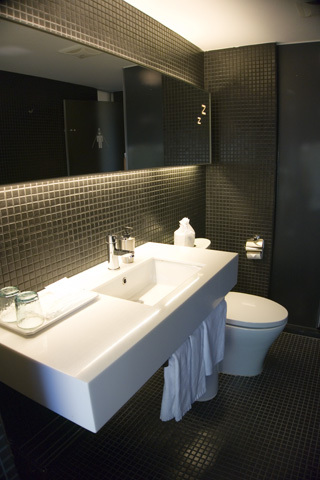 Upon entering the room, the basin and dressing area is the first thing we see. 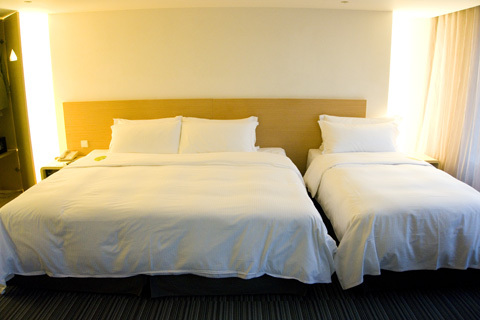 A double-bed right next to the single-bed. 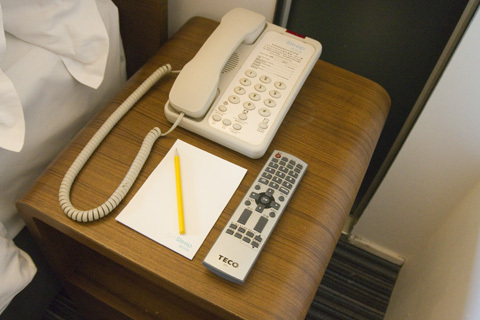 You might want to consider this hotel if you’re travelling in a group of three. The work desk is pretty messed up by us, because ..
That was so nice of them. 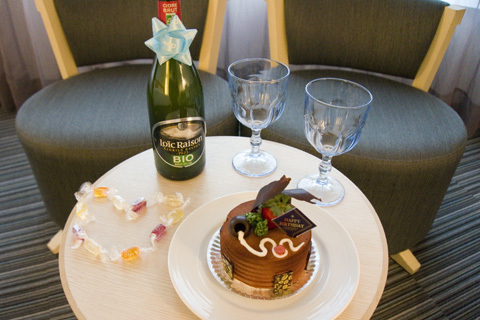 Basically, they prepared a free cake, sweets, a bottle of wine and even threw in a room upgrade! Did I mention there is free WIFI? 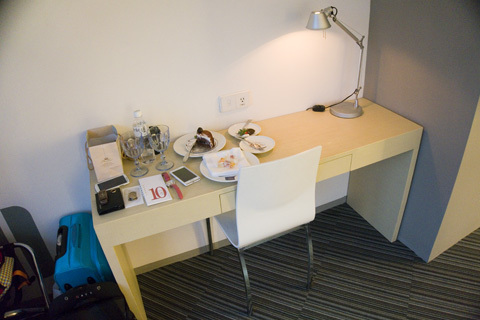 Our room is just beside Just Cafe, which can get a little bit noisy during breakfast hours. 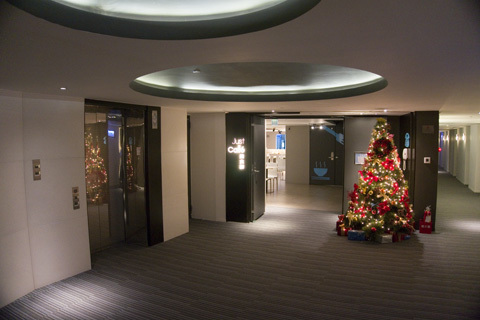 The hotel occupies the 5th to the 9th floor of the building, with the reception on the ground level. 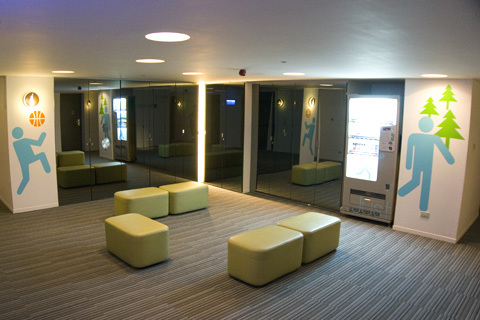 There are vending machines on each floor too. 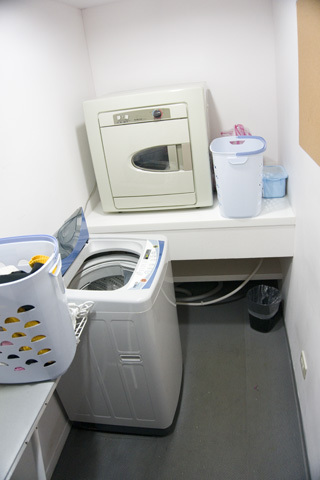 On one of the floor, there is a tiny laundry room – great for backpackers who want to wash their clothes. 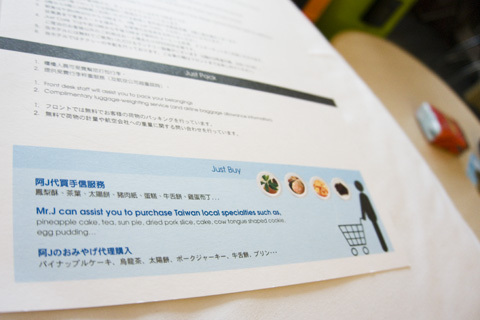 If you are too busy to purchase local specialties or just plain lazy to lug them back to your hotel, Just Sleep provides a special service whereby you can make an order with them and the pastry shop will deliver it right to the hotel (for a small fee). You can check with the reception counter – they have the price lists of some of the more famous pastry. Thank you Just Sleep for the wonderful birthday surprise!